I do not like hiking. I do not find joy in walking for hours in the sun just to see a view. If I wanted to see and pretty view of a waterfall I would pick up a National Geographic or look it up on the Internet. So when my sister Chiloe, who works for tSB, told me that I would be hiking I was less than thrilled. At least my sister was getting paid for it. All I would get was a banh mi and sore legs. So on Friday morning my sister came to pick me up bright and early at 8am. 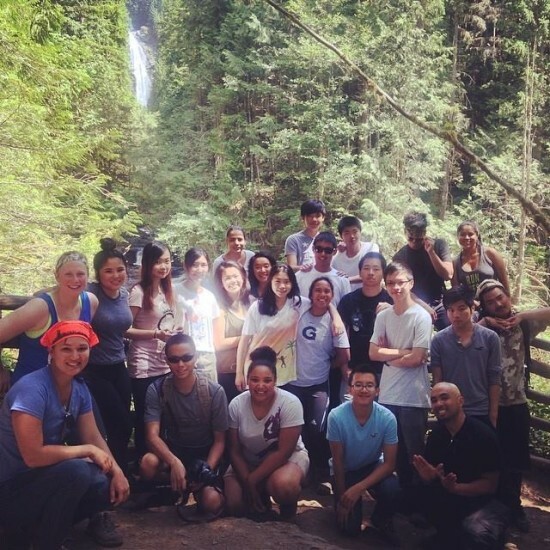 We collected out water, hiking boots, and collective nerves about the 5-mile hike and headed to meet up with the rest of the tSB and Wilderness Inner-City Leadership Development (WILD) participants. 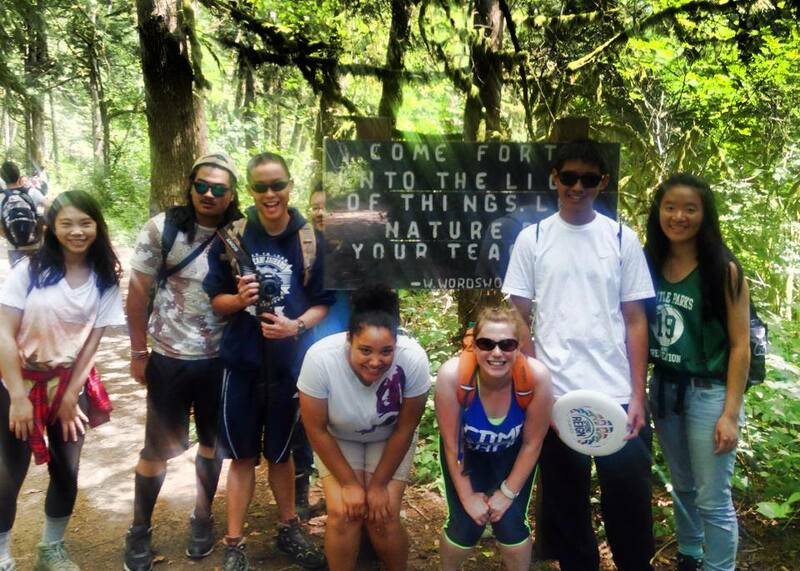 We all piled in the vans and drove an hour to Wallace Falls. Both tSB and WILD participants gathered in a big circle for name games and stretching. We each said our name, our favorite food, and led the group in a stretch. We then got snacks put on our sunscreen and hit the road. Within 15 minutes I was regretting letting my sister convince me that this was a good idea. There were too many stairs, too many hills, one of everyone else’s steps equaled about 3 of mine, and my allergies where horrible. I honestly just wanted to go home and sleep. But I continued and made it to the first stop. We unpacked our sandwiches and looked at the view of the waterfall. But even that couldn’t convince me that I wanted to continue. It didn’t convince my sister either. We were done. I guess and hatred of hiking runs in the family. We made it to Wallace Falls with the Wilderness Inner-City Leadership Development program (WILD). There was still a short uphill stretch left, and as people started to get ready to hike again, my sister and I did not believe the view at the top would be worth a horrible uphill climb. We were convinced not to go on, we had agreed to stay at the spot were we had eaten lunch. But as the rest of the group slowly walked out of sight, guilt got the better of us. We walked even though our legs were telling us we were stupid for doing so. The hike was a lot shorter than we had thought and we made it there fairly quickly. We joined the rest of the group and looked at the full view of the waterfall. It was pretty. But I’m not sure it was worth all the sweating. The hiking back was mostly down hill and was basically me trying not to fall. When we got back we gathered in a circle again, talked a bit about the waterfall and the lake and all said a word to describe the hike. My word: tiring. I then proceeded to sleep for the rest of the day.